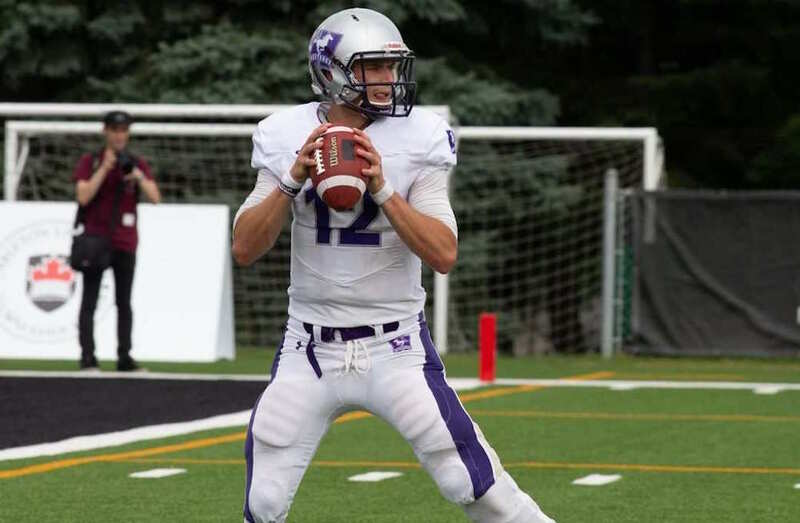 Following a dominant performance in their home opener, the reigning Vanier Cup champion Western Mustangs top the U SPORTS football national rankings for the third consecutive week. The Mustangs (2-0), who beat McMaster 44-6 in their return from an early-season bye week, received 173 voting points from the Football Reporters of Canada panel and an additional 180 from the ELO Rating System for a combined total of 353. While the 2018 Vanier Cup finalist Laval Rouge et Or (3-0 / 324 points) follow in second place for the third straight Tuesday, there is a lot of movement in the rest of the new rankings. Rounding out the third top 10 of the campaign are the third-seeded Calgary Dinos (2-0 / 274 / up two positions), No. 4 Wilfrid Laurier Golden Hawks (2-0 / 255 / no change), No. 5 Montreal Carabins (1-1 / 233 / down two), No. 6 UBC Thunderbirds (1-1 / 121 / no change), No. 7 Saint Mary’s Huskies (3-0 / 109 / previously unranked), No. 8 Carleton Ravens (2-1 / 96 / down one), No. 9 Saskatchewan Huskies (2-0 / 74 / up one) and No. 10 Guelph Gryphons (1-2 / 62 / down one). Western (13), Laval (4) and Calgary (1) each merited first-place votes from the 18-member FRC panel. Saint Mary’s became the first AUS team to crack the national top 10 this fall. The Huskies were last ranked on the eve of the 2017 conference finals, in eighth position. After surviving a scare in their season opener against Carleton, a 26-23 overtime win on Aug. 26, the Mustangs were back to their Vanier Cup-winning form Saturday against the visiting Marauders. Third-year running back Cedric Joseph, who scored a whopping 22 touchdowns in 12 overall games a year ago, notched his first three majors of the new campaign as part of a 103-yard effort on the ground. The Week 3 schedule also featured a trio of top-10 battles in three separate conferences. In the RSEQ, the Rouge et Or edged the Carabins 12-7 at Montreal in a rematch of the past five Quebec finals. Eleven of the past 12 head-to-head duels have now been decided by six points or less. In Canada West, Adam Sinagra threw five TD passes to lead the Dinos to a resounding 57-7 victory over the visiting T-Birds. The old foes have met in each of the past three conference championship matches. In the OUA, the Ottawa Gee-Gees, who were ranked ninth a week ago, came out on top of a 12-10 defensive battle on home turf against Guelph. 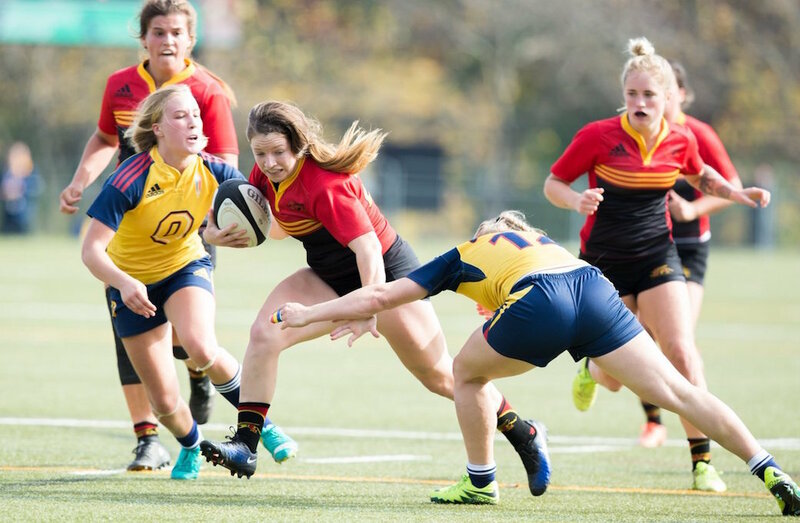 Other Week 3 results from top-10 squads included Saint Mary’s 25, Mount Allison 13 (at Mount Allison); Carleton 21, Waterloo 18 (at Waterloo); Saskatchewan 48, Manitoba 46 (at Manitoba). The Week 4 schedule is highlighted by a top-10 confrontation between Calgary and Saskatchewan Friday evening at Saskatoon (8 p.m. ET/5 p.m. PT on SaskTel maxTV, TELUS Optik TV, Bell MTS & CanadaWest.TV). Top-ranked Western hopes to improve to 3-0 on Saturday afternoon against visiting York (1 p.m. ET/10 a.m. PT on Rogers TV – tape delay & OUA.TV), while No. 2 Laval heads into a bye week.